Patients diagnosed with cardiovascular disease or at high risk for it are successfully losing weight, lowering their LDL cholesterol levels and even breaking the bonds of diabetes, joint pain and other chronic conditions. How? Through the at the Montefiore Einstein Center for Heart & Vascular Care. Launched earlier this year, the Cardiac Wellness Program strives to reverse and prevent heart disease through lifestyle changes. 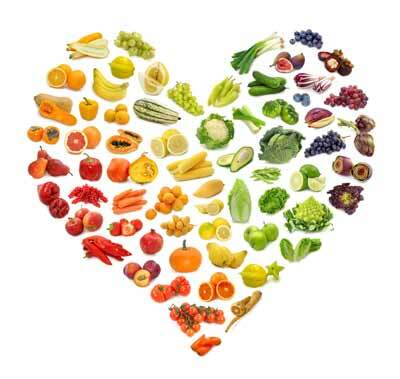 What differentiates the program from those offered by other hospitals and organizations is that it promotes the adoption of a whole food/plant-based diet, one that mirrors how people in rural China and the Tarahumara Indians in Mexico, eat—these populations have very little heart disease, according to Robert Ostfeld, MD, MSC, FACC, Director, Cardiac Wellness Program. "People who fully embrace this type of diet feel better and achieve great results," he says. "To be fully compliant, people have to give up certain types of foods, like meat and dairy, but once they discover how delicious and physically rewarding a more plant-based diet can be, they often don't go back." For those who comply with this diet, the results speak for themselves. "I've seen people drop their LDL cholesterol between 60 and 80 points based upon diet alone," says Dr. Ostfeld. "Others have reversed their diabetes or resolved their problems with angina, and multiple people have dropped between 15 and 20 pounds." "Populations with little or no heart disease thrive on a diet rich in fruits, vegetables and whole grains," Dr. Ostfeld says. "When people move from these cultures move to the United States and adopt our eating behaviors, within a generation or two they are experiencing the same health issues as most others in this country." An initial consult visit with Dr. Ostfeld, during which patients can share their health concerns and goals. A four-hour educational session that arms patients with all the information they need to adopt the diet and other lifestyle changes. A follow-up visit and "check-in" phone calls as needed. "During the educational session we cover everything from 'soup to nuts,'" Dr. Ostfeld explains. "I teach participants about the scientific rationale behind this diet and how it helps them physically, and our nutritionist discusses how participants can incorporate this type of diet into their everyday lives. At the end of the session we serve a plantbased meal to show how delicious this diet can be and send people home with detailed handouts that they can reference." Eight weeks after the session, participants meet with Dr. Ostfeld to discuss how they are doing and share any challenges they may be experiencing. The program's reputation in the region has grown to the point where Dr. Ostfeld has decided to add more sessions to accommodate the demand. To register for the Cardiac Wellness Program, call 718-920-5197. Learn more about the Cardiac Wellness Program at Montefiore.